Your items can be gift wrapped for an additional $5.95 per item. Please let us know the occasion so we can match the gift with the appropriate paper. Let us know if you need it wrapped for a birthday, wedding, anniversary, graduation, or other special occasion. We will do our best to match the paper with the milestone. 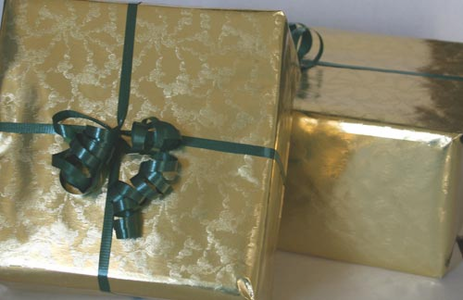 A free gift card is included with your gift wrap order. Please leave your personal message in our comment section of our order form. Let us know if you have a favorite font style as well. We will do our best to personalize your card and make your gift choice special. You care and so do we! Should you need help selecting your gift, just give us a call or send us an email and we will help you select just the right one.